CSGO2ASIA: Hey, let’s start with how your preparation went ahead of this Asian tournament. rate: So since this is an important tournament for us, we did prepare but not very good. Basically, we are not really satisfied with the practice training we did. We put in 6-7 hours of work per day. For me personally, I have school so I don’t have much time for practice so that’s all I could spend. CSGO2ASIA: Is this your first international LAN appearance? CSGO2ASIA: That’s an impressive feat. So, speaking about SCARZ, you have lost to them three times before online, and then came here and eliminated the Japanese powerhouse 2-0. How does it feel to accomplish that for your first international LAN victory? rate: It feels amazing to beat such a team on LAN. We lost to them so many times during online tournaments. And we definitely proved that we can be better on LAN. Also, my teammates played really good. We will come back stronger. CSGO2ASIA: Then you were eliminated by NASR quite convincingly in two maps and beaten brutally by dobu’s 5POWER in the first match-up. What are the takeaways from this event? rate: I understood that playing in a LAN environment is completely different from online as you can see without results against SCARZ Absolute. Looking face-to-face, playing on the exact same set-up and connection, they are not bad and can be even or better than these teams. CSGO2ASIA: Tell us about the current state of the Mongolian CS:GO scene from your view. rate: For the past year, it’s actually getting better and shifting towards a positive future. Prior to that, we used to have tournaments being hosted by PC gaming centers and internet cafes. 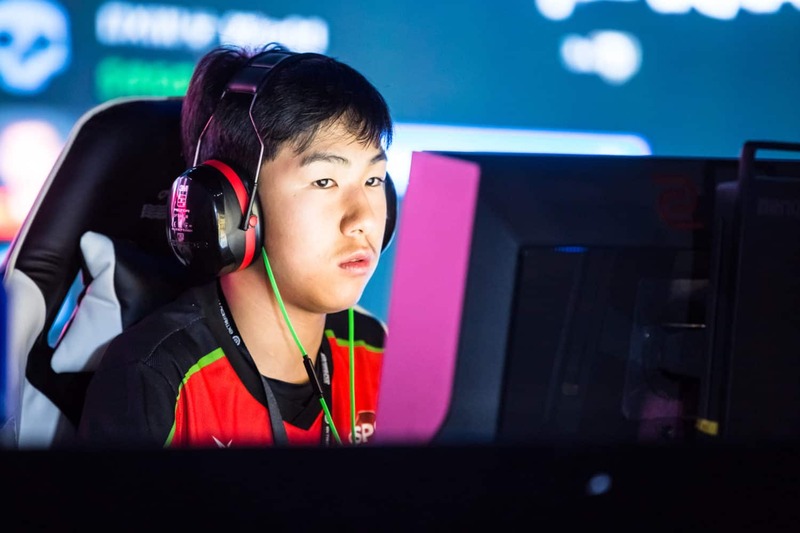 CSGO2ASIA: In a statement released by the Mayor of Mongolia’s capital city Ulaanbaatar, it was revealed that Internet gaming cafes would be closed down. So this contradicts your opinion from before, what are your thoughts on this government decision? rate: For me personally, the news didn’t hit me that big. Every year, the government releases the same statement over and over again, but it doesn’t take effect 100%. In my opinion, those kind of statements are stupid. It’s not something against the PC gamers and other things. Bogi: These are my own words, the statement was released and people translated it differently to people outside of Mongolia. The statement was along the lines of “we are going to close those PC gaming that cannot meet our standard requirements.” So they won’t be closing all of them. If it’s unhealthy, if you break the rules, the government will close you but not every single one of them. CSGO2ASIA: Oh right, because there was an English version from TheMongolz, which most people took as an official source and misunderstood. Bogi: Yea, I talked to Tuvshinbleg (TheMongolz owner) and said: “hey buddy, you actually translated it wrong, people are getting the wrong message”. As far as I know, every single LAN cafe is still there after the release of that statement. CSGO2ASIA: So lets about how rate started his Counter-Strike career up to where he is now. rate: So I was playing Counter-Strike 1.6 at an amateur level, not at a professional level. I watched KABAL from 5POWER and learned from him and another Mongolian player called MMBR at a gaming center. I would stand behind them, observe and pick up knowledge from that. Bogi: He was pretty good at CS 1.6. That actually helped him become a better player in CS:GO when he transitioned. CSGO2ASIA: Since you mentioned 1.6, at what age did he play this version and when exactly was this? rate: It was in 2015, around three years ago when I was 13-years-old. Bogi: Even now, people still play CS 1.6 in Mongolia. CSGO2ASIA: That’s a surprise, are there any 1.6 tournaments being hosted in Mongolia? Bogi: Sometimes. CS 1.6 is free here and you need to buy CS:GO with money. CSGO2ASIA: Do you have your own PC at home or do you go to the Internet cafes to play? rate: I wanted to buy my own personal computer at home, but my family wouldn’t agree on it. CSGO2ASIA: Does your family support your career? rate: At the moment, my family is supporting me. Before that, they wouldn’t support me because they thought I was getting addicted to PC gaming. CSGO2ASIA: Moving on to the team, can you briefly describe each player’s role in the team for our readers. rate: I am the entry fragger. Shinobi is the lurker. Temk4wow is the rifler. Tamir is the in-game leader and World is the AWPer. CSGO2ASIA: Does the team have a coach? rate: Officially no, we don’t have one. CSGO2ASIA: We know a lot about TheMongolZ organization because of their history, so can you reveal to our readers on how the D13 organization was formed? rate: So the team was formed by the end of 2017, it was founded by World, an active player, and owner of the organization. He was structuring what to do, show players how to behave professionally, how to communicate in a team game, and he manages everything on the team. CSGO2ASIA: Despite TheMongolZ early success, they were never salaried, so are you guys salaried at all? CSGO2ASIA: What about a gaming house? rate: Yes, we have one. The gaming house that we practiced at is World’s apartment. We gather over there and practice 6-8 hours per day. CSGO2ASIA: Mongolian players have a history of being poached by international teams/ organization because there is a lack of infrastructure and financial support for the domestic scene. Do you think this will continue to be the future for Mongolian players? rate: It happens a lot, but the current situation is changing so companies and businesses are getting interested in sponsoring the teams and whatnot. I’m hoping it will change. CSGO2ASIA: What events are on your calendar after eXTREMESLAND? rate: We will be focusing on WESG, PLG Grand Slam and the Asia Minor qualifiers. CSGO2ASIA: Thank you to both for spending your free time with us on this interview.